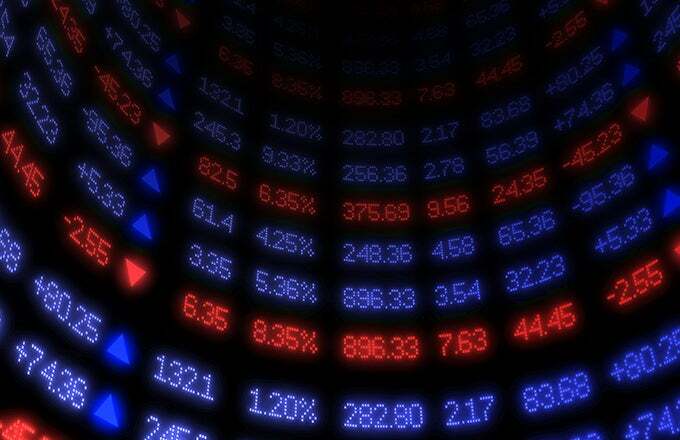 Exchange traded funds, or ETFs as they are commonly known, are investment funds that are traded on a stock exchange. Investors have a wide variety of ETFs from which to choose, from those that track a major market Index to ETFs that track a basket of foreign currencies. Another type of exchange-traded funds are green ETFs, or those that focus on companies that support or are directly involved with environmentally responsible technologies, such as the development of alternative energy or the manufacturing of green technology equipment and devices. Today’s investors have access to a growing number of green ETFs, allowing them to incorporate environmentally friendly strategies into their investment decisions. What Is a Green Investment? Green investing, whether it pertains to ETFs, mutual funds or individual stocks, refers to investment activity that focuses on companies whose business supports or promotes conservation efforts, alternative energy, clean air, and water projects and other environmentally responsible business decisions. The majority of green ETFs focus on companies involved directly or indirectly with the research, development, production, and providing of alternative energy. Companies may be distributors of alternative energy or may be manufacturers of parts and equipment needed to produce the energy, such as the photovoltaic cells necessary for creating solar panels. Each ETF has its own criteria for determining the eligibility requirements for assets. Many new businesses are able – with careful planning – to go green from the start. Established companies, however, with years or decades of bad habits have to work extremely hard to turn their routines into environmentally friendly practices. This can leave companies with one foot in the old school, environmentally irresponsible group, and the other foot in the modern, green movement. Automobile manufacturers are good examples: the same company that is making gas-guzzling SUVs might also be at the forefront of developing hybrid and electric cars. So what makes a company or an ETF green? Currently, there are no strict rules regarding which companies or investment instruments are officially “green.” Many of the considerations are a matter of opinion. For example, some people consider nuclear energy to be a clean and green energy choice, while others would argue that the toxic waste precludes it from being environmentally responsible. In general, it is up to each investor to decide if an investment instrument is green by his or her standards. PowerShares WilderHill Clean Energy Portfolio (ARCA:PBW): This fund is based on the WilderHill Clean Energy Index and selects companies focused on greener and renewable energy sources and technology that facilitates cleaner energy. The fund has a large focus on holding small-cap firms and implements a growth strategy investment approach. iShares S&P Global Clean Energy Index Fund (Nasdaq:ICLN): This fund allocates its holdings to alternative energy including solar and wind, and to companies involved in biomass, ethanol and geothermal production. Its top sector is semiconductors and semiconductor equipment with additional exposure to the utilities sector. First Trust Global Wind Energy (ARCA:FAN): This ETF is based on the ISE Global Wind Energy Index. A security component must be actively engaged in some aspect of the wind energy industry, such as the development of a wind farm, or the distribution of wind-generated electricity. Many of the holdings in this ETF are non-U.S. companies and as a result, this ETF contains ADRs, GDRs, and EDRs. Market Vectors Solar Energy ETF (ARCA:KWT): This fund aims to replicate the yield performance of the capitalization weighted Ardour Solar Energy Index. Domestic and international corporations are represented, with significant investments in China, the United States, and Germany. Guggenheim Solar ETF (ARCA:TAN): This ETF is based on an index (the MAC Global Solar Energy Index) that tracks companies involved in the production of solar power equipment, the production of fabrication products or services and companies that supply the raw materials that are utilized by the solar power equipment producers. Global X Uranium (ARCA:URA): This fund has a focus to replicate the after-fee performance of the Solar Global Uranium Index. The fund’s focus is on uranium mining, with a heavy weight on Canadian companies and capitalizing on the demand for nuclear material. Interested investors can further research green ETFs by speaking with a qualified financial consultant. Many green investments involve newer and smaller companies, which often equates to greater volatility and/or weak performance. That said, as these companies gain traction and the need for alternative energy is further realized and regulated, green investing will likely become an increasingly stable platform for investors. The exchange-traded funds included in this article are examples only and do not represent any actual positions held by the author. The intention of the article is to introduce readers to green ETFs and not to make any inferences or recommendations regarding specific investments.